Commonly planted by residences and along roadsides, this introduced European tree has been recently documented to be spreading from plantings, especially along roadsides and dunes (Parfitt & Wade, 2000). In some areas, it has become a significant pest (Leege & Murphy 2001). 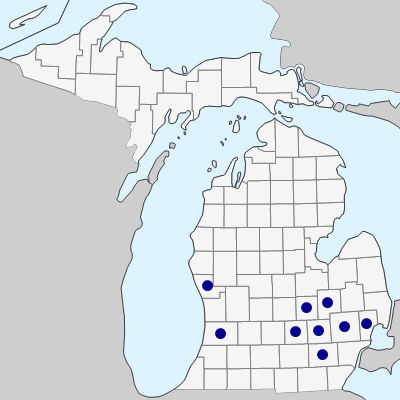 First collected by A. Anderson in Muskegon Co. in 1974, though reported from Kalamazoo Co. in 1947 (see McKenna, 2004). 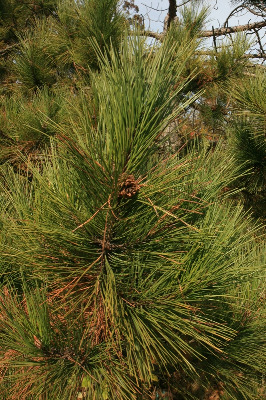 Pinus nigra resembles P. resinosa, but is darker and denser in appearance, with the bark gray or darker in contrast to the very distinctive reddish flaky bark of P. resinosa, and the stiff, needles do not break cleanly upon bending, compared to those of P. resinosa, which snap sharply. Male cones are yellow, while in P. resinosa, they are red-purple. MICHIGAN FLORA ONLINE. A. A. Reznicek, E. G. Voss, & B. S. Walters. February 2011. University of Michigan. Web. April 21, 2019. https://michiganflora.net/species.aspx?id=1923.